It was during the first phase of bombing that became known as the Blitz that tragedy first struck the Drummond family. At 1932 hours on Saturday 21 September 1940 an air raid warning signalled that the Germans had launched another raid against Merseyside. The first raids of the Blitz had occurred on 29 August 1940 and they had been almost continual since then. Though much worse was to come, on this night Liverpool endured its worst air raid since the war began. The Luftwaffe unleashed a fearsome barrage of incendiary bombs on densely populated residential areas. As the residents, Air Raid Patrol wardens and Auxiliary Fire Service tried to put the fires out, a second wave of bombers passed overhead dropping heavy calibre high explosive bombs. At 63 Worcester Road Bootle [Google map], John’s grandmother, Mary Drummond, and his auntie Edith Drummond were in bed in a ground floor room. 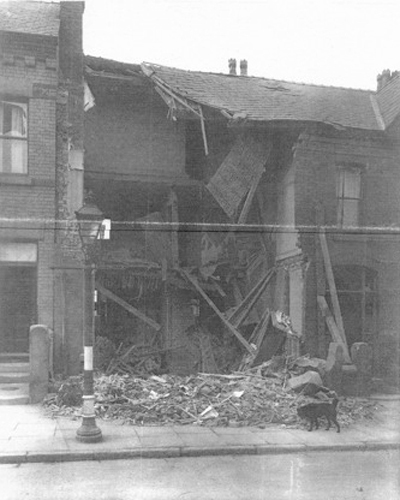 As they lay there in the small hours of 22 September, a bomb smashed into the front of the house. The two women had no chance and were killed where they slept. Another of John’s relatives, Mary Lang (known as Aunty Polly in the family, who was both deaf and nearly blind), who was asleep in the back of the house, miraculously survived. When the all clear sounded at 0421 hours the next morning the clearing up began. The Bootle Times of Friday 27 September 1940 carried on its front page the news of the deaths of Mary and Edith Drummond. On the inside of the same edition it reported on their funeral. 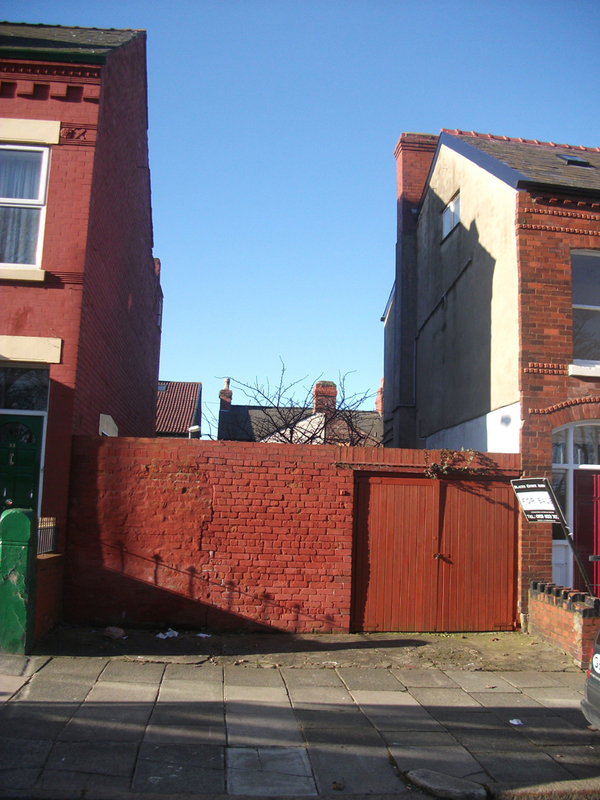 It took place on Wednesday 25 September, leaving from John’s uncle Bert’s house at 9 Worcester Road and taking place at Christ Church in Bootle, a few hundred yards away from the scene of the tragedy that still lay strewn with rubble. The Chief Mourners that day were Mary’s sons William (John’s father), Bert and Harold, her brother G Hamilton, grandson WF Drummond, granddaughter Helen Drummond, nephew J Gibbons and nieces Mrs Nutall and Mrs Salisbury. John’s parents sent a floral tribute on behalf of the family. 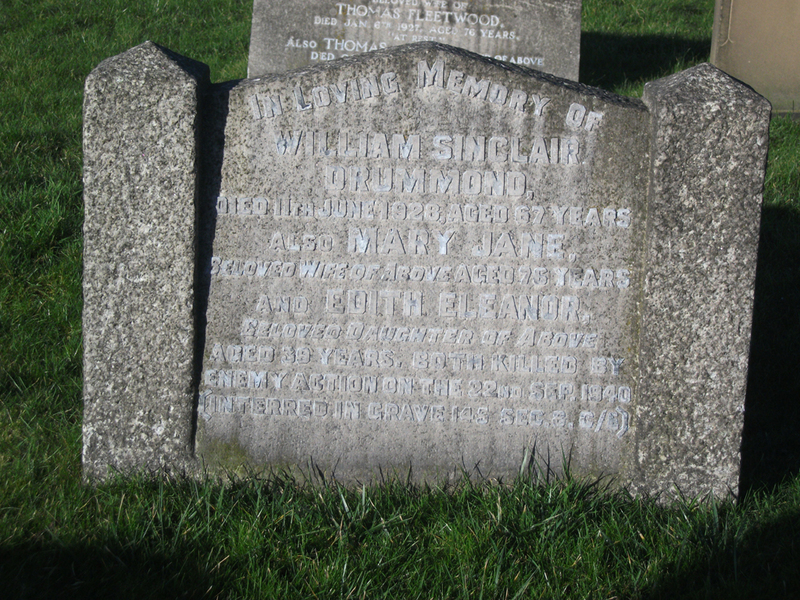 They were interred at Bootle Cemetery in the same grave as John’s great grandfather William Sinclair Drummond. The inscription on the grave stone read, “..killed by enemy action on 22nd Sep, 1940”. John was on active duty with 92 Squadron at Biggin Hill so was unable to attend the funeral. He had engaged the enemy the day before, claiming an Me109 as a probable and damaging another along with a Ju88. Visiting Worcester Road today is a stark reminder of that September night in 1940. The houses were re-built as necessary. All except for number 63, where there is just an empty space. The SS Arandora Star was a British registered cruise ship operated by the Blue Star line from the late 1920s through the 1930s. At the onset of World War II, she was refitted and was assigned as a transport ship. She evacuated servicemen from Norway, including John Drummond, and from France in June 1940 before undertaking what was to be her final voyage transporting Axis nationals and prisoners of war. On 2 July 1940, across the river from the Cammell Laird yard that built her, she left Liverpool unescorted. She was bound for St. John’s, Newfoundland and Labrador with nearly 1,200 German and Italian internees who had been detained under harsh rules regarding people from enemy countries. Almost all were civilians, many of the Italians had been in Britain since the turn of the century and some of the Germans were refugees who had fled Nazi persecution. Only 86 POWs were aboard. There were also 374 British men, comprising both military guards and the ship’s crew. Although she was not carrying combatants, she did not bear a red cross, and so was easily misidentified as a ship on active service. At 06.58 hours off the northwest coast of Ireland, she was struck by a torpedo from the German submarine U-47, commanded by U-Boat ace Günther Prien. U-47 fired its single damaged torpedo at Arandora Star. 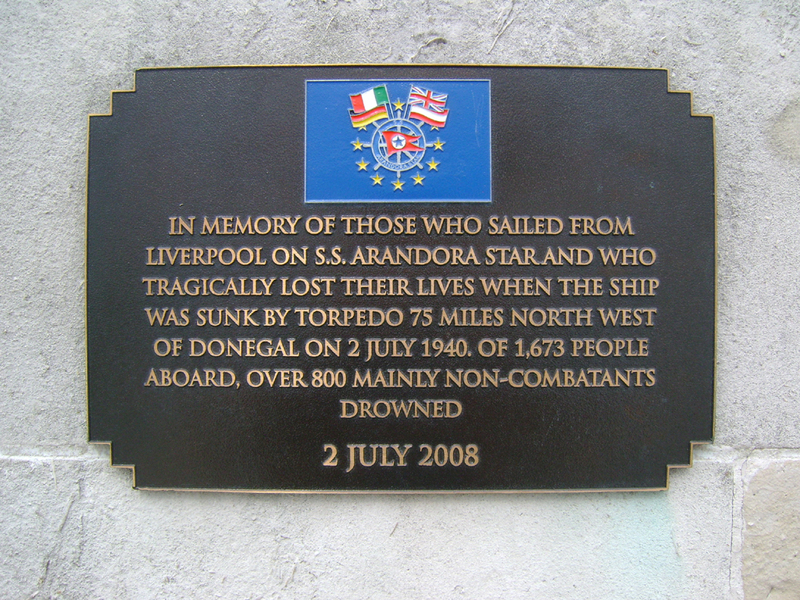 All power was lost at once, and thirty five minutes after the torpedo impact, Arandora Star sank. Over eight hundred lives were lost. There is a plaque bearing her name in front of the Mersey Docks and Harbour Board building in Liverpool. In 1940 the war wasn’t only being fought by courageous young fighter boys in the skies above southern England but by ordinary people in the villages, towns and cities of Great Britain as well. The Home Front. All clear from the night warning at 7am – we were all awake. We heard machine gunning at 8.20am. Time bomb in the Hythe Road district at 12.20, sirens at 2pm, all clear at 2.40. Children have been excitable. Small wonder that we have all felt a little nervy. A spitfire came down on the Fallowfield Estate. Sirens for the night at 7.20. The Spitfire she refers to is John’s. 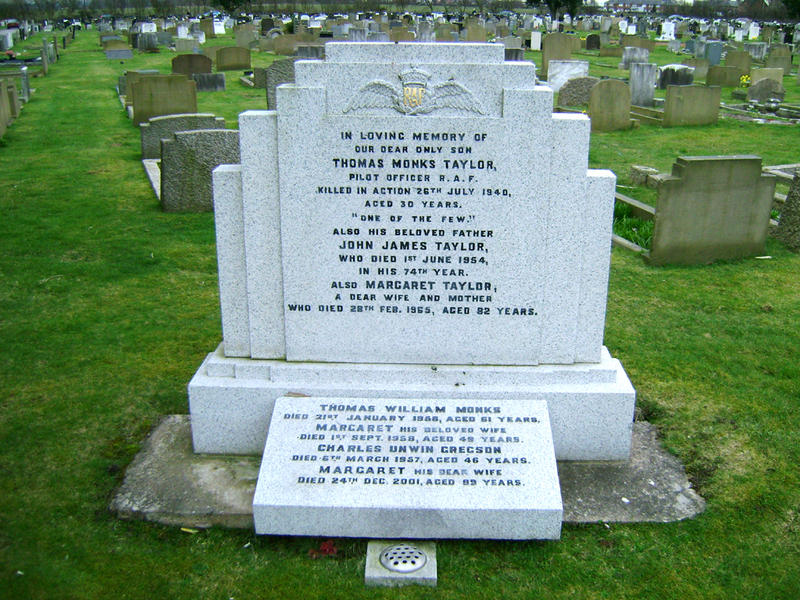 In Section A, grave 1 of Thornton Garden of Rest, the same section as both John Drummond’s and Kenneth Gillies’ graves, is the impressive headstone of Pilot Officer Thomas Monks Taylor, killed on 26 July 1940. His inscription reads “One of The Few”. However, the term ‘The Few’ refers to pilots who flew with fighter squadrons in the Battle of Britain, and Pilot Officer Taylor was not one of them. There can be no suggestion that his relatives somehow sought some false glory for this brave officer. Instead, it can only be that the precise definition of ‘The Few’ used today was not yet fixed in the public mind. So, who was he, and why is he recorded as being one of The Few? Prior to the outbreak of World War II, Pilot Officer Taylor joined the RAF Volunteer Reserve. Once hostilities commenced he was called up and later granted a commission as a Pilot Officer. He was posted to 50 Squadron in Bomber Command as an Air Gunner, flying Hampdens from RAF Hatfield Woodhouse in Yorkshire. 50 Squadron saw action in March 1940, when it participated in Bomber Command’s first attack on a German land target – the mine-laying seaplane base at Hornum on the island of Sylt [Google map]. It’s likely Pilot Officer Taylor participated in this mission. Although Pilot Officer Taylor flew operationally during the Battle of Britain period, he did so with Bomber Command rather than Fighter Command. Churchill’s speech that coined the term The Few commended those who had fought to defend Britain that summer. Pilot Officer Taylor had been attacking Germany. This author pays the greatest of respect to Pilot Officer Taylor and thanks him for the service he gave in helping to defeat Nazi Germany. 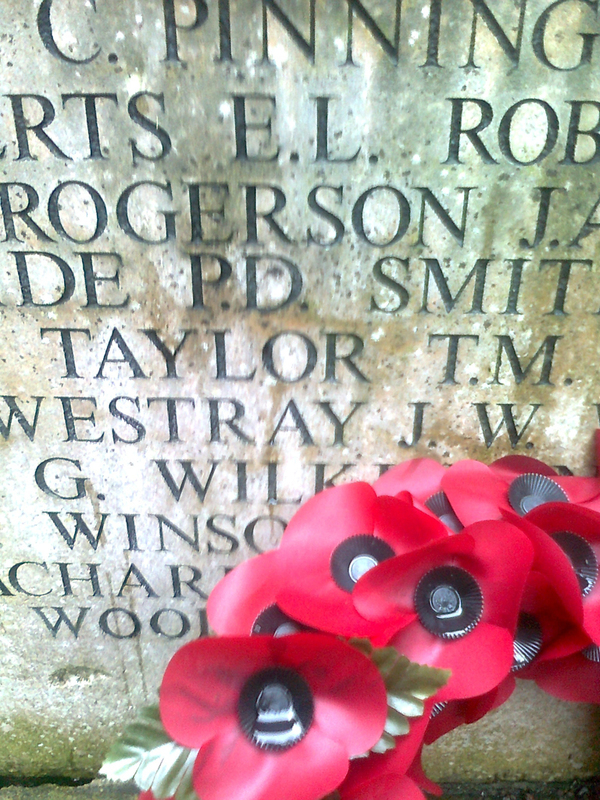 Thomas Monks Taylor’s name is on Crosby’s Alexandra Park war memorial alongside John Drummond’s.